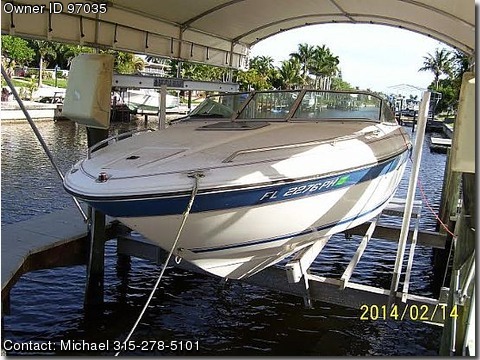 Please call boat owner Michael at 239-542-0519 or 315-278-5101. Garmin 546S GPS Chartplotter w depthsounder, VHF Radio, new Stereo system with new speakers, portipotty,anchor and rode, trailer. Low hour northern fressh water boat with low hours. New starter, battery bank&charger, and Edelbrock marine carburetor on it this year.